The tumor microenvironment (TME) is a complex mass of malignant and nonmalignant cells, signaling molecules, extracellular matrix, and blood vessels. Immunomodulation of the T-cell response within the TME, via inhibition of immune checkpoints and co-inhibitory molecules such as CTLA-4 and PD-1, is a promising cancer therapy. 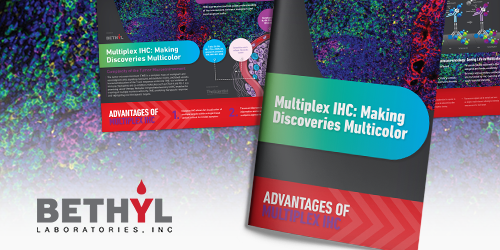 Multiplex immunohistochemistry (mIHC) enables the tracking of multiple markers within the TME, predicting therapeutic response and highlighting new therapeutic targets.